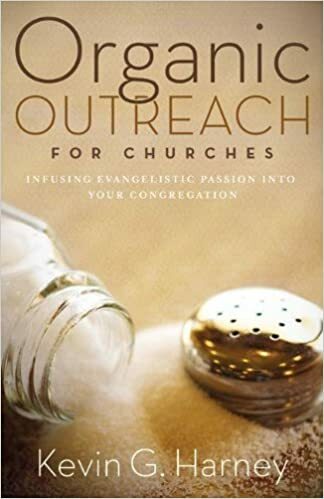 The subtitle gets to the point: Infusing Evangelistic Passion in Your Local Congregation. Kevin Harney has a passion for congregations that share the gospel organically. Hence the title, Organic Outreach for Churches. This is not a book about personal evangelism, though we should personally evangelize. He wants to help congregations to have a passion for the gospel. Congregations. The Church. Evangelistic communities. Evangelism is a group project. Evangelism is a community commitment. By organic he means that it is “a natural and integrated part of the whole life of the church, not a fabricated add-on.” In his book he wants to provide ways for leaders to instill this integrated vision for evangelism into their congregations. It starts with the heart. Both the process and the book. He begins with the heart of your congregation: love for God, the world and the church. He begins with love for God. We, of course, have been loved by God and then called to love God with all our heart, mind, soul and strength. Love for God is the fountain of evangelism. If we don’t love God, we won’t recommend Him to others. In many ways I heard echos of Michael Reeves’ work. God’s motive in creation and redemption was love. Having been loved, we are restored in the image of the God who is love and begin to love. Many churches have forgotten or forsaken their first love. Pleas to reach out will fall on deaf ears because there is no love. The root or fountain must be addressed. Pastors need to communicate God’s redemptive love so we love the God who redeemed us. Some earnest churches may need to slow down and channel their energy. They launch an endless series of outreach efforts and follow all the latest fads. But we are concerned with the long haul, not a series of wind sprints. The goal is a congregation that consistently reaches out, charting a steady course that fits who God made them to be. We are to love the world. This does not mean the godless world system that is our enemy (the world, the flesh & the devil). Rather this is the lost people in need of Christ to whom the love of God is to be revealed. Scripture recognizes this distinction. If we don’t love them, we won’t reach out to them. We won’t have sufficient concern or compassion to communicate and demonstrate that love. I tend to think of love as a self-sacrificing commitment to another person’s well-being. I don’t love my wife much if I’m not willing to sacrifice much for her. The same goes for my kids. If my life pre- and post-children is unchanged then I’m not engaged with them, sacrificing for them and just plain loving them. To love the world means that a congregation sacrifices so that others hear the gospel. We tend to think about money first and foremost. A missions budget is a sacrifice. That is money that could be spent on “us”. But that is not really what Harney is getting at. Harvey is getting at changing, sacrificing, so that outreach is integral to all a congregation does. It is a willingness to remove unnecessary obstacles. It is a willingness to pay the price that keeps many congregations from consistent evangelistic vision and action. Often churches will say they want to reach out. They will say this to a pastoral candidate. As their new pastor seeks to implement evangelistic vision and action the resistance begins. It gets back to a lack of love, and therefore unwillingness to sacrifice. We see Jesus, out of love, sacrificing in His Incarnation, death, resurrection and ascension. Jesus, our Savior, is also our Example (not one or the other). Harney makes a necessary distinction in his exercises at the end of the chapter. We don’t sacrifice the gospel. We maintain clarity on important theological issues. We are to affirm and uphold biblical absolutes or principles. What is sacrifices is “tradition” or preference. We are to sing songs of worship that exalt God, humble sinners and promote holiness. We may sacrifice our personal preference when it comes to musical style. We affirm the biblical gospel, but we may sacrifice our preference for “gospel presentations”. We may rethink the traditions of our congregations that are rooted in how we like to do it rather than how God tells us to do it. 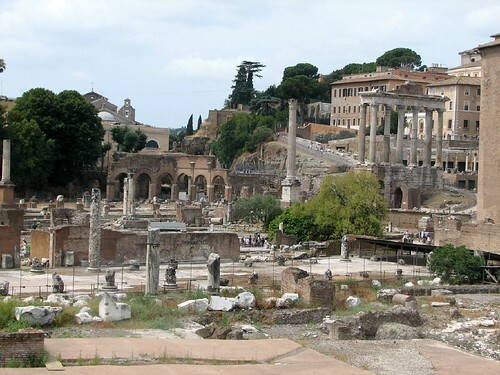 We need to be distinctively Christian, and we need to realize church life isn’t all about us. Harney notes that many churches often forget they are to love the church as an essential aspect of organic outreach. He says “What we often fail to recognize is that a joy-filled love for the church is also a key to outreach.” We are not only to love Christ, but also His Bride. We invite people to Christ, and also His Body. If we are focused on the faults of His Bride our love for Her will wane and we won’t think inviting others into Her life is a good thing. If you want to grow in your desire to reach out, you must also grow in your love for the church- especially your particular congregation. 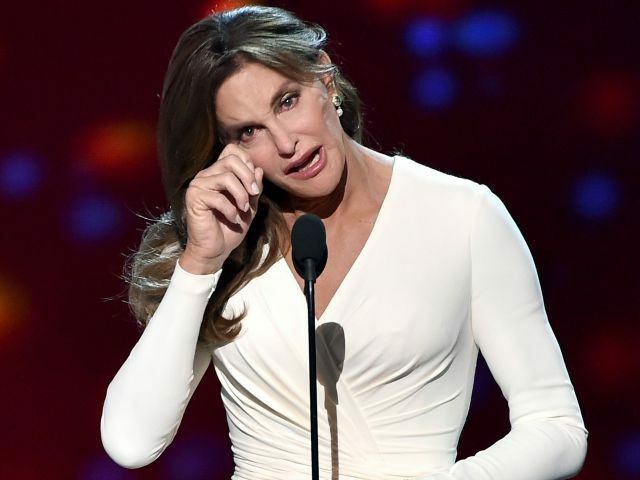 If you are embarrassed by your dysfunctional family, you won’t invite your new significant other to meet them. The solution is not to find a new family. The solution is to love your family despite their many, obvious flaws and work slowly to resolve the dysfunction (it wasn’t created in a day and won’t be resolved in a day either). So, don’t take this as “find a church you can love” but love the one you’re in. Return to the Scriptures to see how Jesus sees His Bride and Body. He didn’t love Her because She was perfect and had it all together. He sacrificed Himself to make Her holy and blameless. See His profound love for the Church and ask Him to give you a similar love for His not yet holy and blameless people. If our congregations don’t have an evangelistic vision and action that permeates the whole congregation, engaging every member, we probably have love trouble. Our love for Christ, the world and/or the church is the problem. This is what must be addressed. Our love for each grows only as we see the manner in which God loved the world, sending His Son to be an atoning sacrifice for sinners. His love for us will grow into love for Him, His people and His world. This is the motive for God-honoring outreach. I got a free copy of Sing! How Worship Transforms Your Life, Family, and Church by Keith & Kristyn Getty from a local bookstore as part of Pastor’s Appreciation. I’m glad I was gifted the book. I ended up buying copies for our worship team. I read this short book on study leave. It is a quick read. It was a good read. They want the book to be read by worship teams, pastoral staffs and even congregations. They want people to understand why it is important that we sing, and that this should influence how we approach corporate worship, among other things. It starts with the notion that we were created to sing. I would point to our being made in the imago dei, but they take a more natural law approach to this. God fashioned in us in such a way that we can sing. God sings over us, and made us to sing over Him. He sings over us and we sing to Him and to one another. There is something about us that wants to sing. It isn’t strange, like Prince Herbert in Holy Grail. We sing in the car, in the shower and around the house. Most of us like music. We are wired to do it. We are commanded to sing. The Scriptures reveal that God’s will for us is to sing. The Bible is full of songs: laments, thanksgiving and more. We sing to express praise, fears, hopes and prayers. We are compelled to sing. We sing about Christ’s work for us, in us and through us because of Christ’s work in us. The Spirit works in us prompting us to sing. He often overcomes our inner resistance and excuses. I don’t sing well. I often joke about my lack of a singing voice. But I sing, often with exuberance. I sing, not because I’m great it, but that I have something great to sing about. They want to help us see beyond gifting to calling. We are called to sing even if we aren’t good singers. That is because it isn’t about us. The Gettys encourage us to sing with heart and mind. All of who we are should be engaged in singing to God. They remind us that singing brings “Sunday’s truths into Monday” and the rest of the week. It is a way to bring our theology into our everyday life. As a result, it can help sustain us in the various seasons of life. We can sing to remind ourselves what Christ has done for us, and promises to do for us. There are various contexts in which we can and should sing. We should sing in our families, but their main focus is congregational singing. In this regard they are pushing back against some common trends in worship. It is increasingly common to have a praise band perform. Worship is increasingly like a concert and the singing of the congregation seems to be optional. The Gettys, rightfully, want to encourage congregational singing. Singers in praise bands, or choirs, are to help the congregation sing, not to sing on the behalf of the congregation. This is part of why I wanted my worship team to read this. As we look for a new worship director, I want to choose someone who has this priority too. How we choose and play music should facilitate congregational singing. As a pastor, I love to hear the congregation sing. I think we are a congregation that sings well. Our building is suited well for me to hear them, but not so much for them to hear one another. On Christmas Eve we joined together with another congregation, in their building. I couldn’t hear the congregation very well. It affected my singing. I wasn’t sure if they had turned off my mic. Apparently they could hear one another well, and they sang well. I just couldn’t tell. 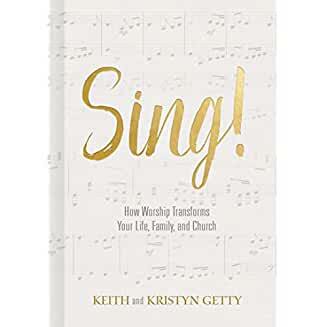 The book concludes with some sections, in admittedly blog-like fashion, to different groups or classes of people: worship and song leaders, musicians, choirs and production, and songwriters. They provide some helpful advice for each of these groups. They apply the material and provide some helpful questions. This was a helpful book. It was a book worth reading. I’m glad they wrote it, and that it was given to me.